About Us | Bordertown Autobody Inc. About Us – Bordertown Autobody Inc.
Bordertown Autobody, located in Milk River, Alberta is a 8000 sq. ft. facility specializing in collision repairs, PDR (Paintless Dent Repair), glass repair and installation, custom painting and vinyl signage. 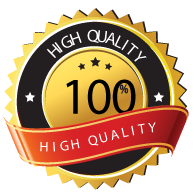 Our staff has more than 100 years of combined of experience in autobody repairs and refinishing. We have two tow trucks and are also an AMA and Roadside Assistance contractor, proudly serving AMA customers for over 40 yrs. We work with ALL the insurance companies and our work is fully guaranteed.